There’s something about this poem that will be forever contemporary. In fact, with the world seemingly becoming more cramped all the time – physically and digitally – it might even resonate more today than when it was written decades ago. So imagine how that Earth would feel. Put yourself there. Such a place might be unsettling for some. A relief for others. And for Edgaras Žakevi?ius (who composes music under the name Stellardrone), that new Earth might even resemble a brand new planet – a refreshing opportunity for exploration. “From a young age I had very little interest in human affairs. I think I saw the world as something bigger than what happened only in plain sight. Of course I probably didn't consciously realize it then, but I was always interested in new ideas and questioning the present ones – in constructing things and trying to understand how we came to be." As you can imagine, such a far-reaching mind would eventually find the world of science-fiction. As Edgaras grew older, his sharp interest in the genre’s films (such as John Carpenter’s The Thing, James Cameron’s Alien, and Kubrick’s 2001 Space Odyssey) and novels (including Colin Wilson's Spider World series and Brian Aldiss’ Non-Stop) would only further strengthen his imagination and his desire to explore the universe. And one of the most important lessons he learned from those classic films and novels was the importance of storytelling. “Certainly, older films had much more to offer to our imagination than most modern ones. Those older films are still relevant today and no modern movie can top them – and I have seen many, many science fiction films. The special effects are top-notch and I wouldn't even call them aged, or anything. I mean, they didn't try to cheat the viewer with massive explosions or big monsters and 3D. All they used was good story writing and atmosphere." Along with affecting the films and novels Edgaras would choose, the want for a good story would also have an effect on the styles of music he would gravitate toward and the feel of the music he’d eventually create. Listen attentively, and you’ll discover that in a similar way to those classic filmmakers who refrained from glutting the viewer with special effects and 3D graphics, Edgaras refrains from doing so with the technology he uses to create his music. It’s much more than just synthesized and digitized tones. There’s a depth and variety that can only come with a tremendous amount of thought and experimentation. Even in the absence of lyrics – or any live instruments, for that matter – you can still hear that his focus is on the story and the adventure. But back at that early time in his life, Edgaras actually disliked music altogether. “Perhaps it was because all I heard was my native Lithuanian or Russian pop music, which had little attention to detail and originality. Or maybe I just wasn't old enough to appreciate it. Later, like most teenage people, I got interested in hard rock and metal music, but even then I noticed that I preferred bands using synthesizers in their songs to those using ordinary instruments. At this stage I started becoming more and more interested in creating music myself because I was fascinated by synthetic sounds." Think about all the observations Edgaras must have been making during those years, as he focused his listening ear and wondered how he’d eventually create the layers and layers of sounds developing in his mind. The fact is, not only did he lack any standard training in music theory or composition, but he’d also never used a synthesizer or music-writing software. And then there’s the style of music itself – a style which may lack a chorus, a verse, sometimes even a time signature. It’s a difficult challenge for a composer, but it’s also essential. The music wouldn’t evoke the sheer expanse of outer space otherwise. And so with all that in mind, Edgaras set off and tried to find his way. 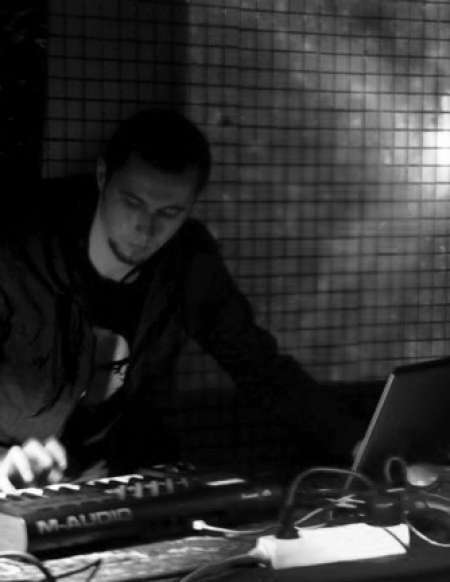 He’d experiment, learn, and create, and in 2009 would release his first album under the Stellardrone pseudonym. From the start, the results have been remarkable. The Universe is an amazing thing when you think about it. There’s so much that seems random and endless and impossible. But there must be a formula to it, as well. Just think about how engineers can make all the calculations necessary to send an unmanned spacecraft to a target like Saturn – at times swinging it near another planet, using its gravitational field as a boost – and several years later actually reach their destination exactly as planned. Exactly on schedule. That couldn’t happen if there wasn’t at least something formulaic about the Universe. There’s something similarly amazing in Stellardrone’s music. There is that lack of what we might be familiar with – that verse, that chorus, that time signature. And after listening through his albums you’ll experience some of the essentially limitless number of sounds, tones, and textures that can be created and modified. But still, there’s enough structure there. There’s something we can follow. Something that, despite the immeasurable nature of outer space and endless variety of sounds we hear in the music, helps us feel that we’ll get to our destination as a listener. We have confidence in the composer’s calculations, and there’s good reason for that. In time he’d receive emails from many listeners who shared those same feelings. And just as the music does for Edgaras, it can also cause us to wonder what the point of the Universe really might be. “I never could understand why many people never ask themselves this. I mean, I am not a believer, and I don't think there's a need for a consciousness to create the Universe, but many people still are oblivious to the scale of the Cosmos and how important it is to understand it. It might as well be humanity's greatest purpose of living. Even though biologically we live to procreate, mentally we should try to understand the Universe as much as possible." Think about how long scientists have wondered similarly about the human mind – what else it contains, where its boundaries might lie, how ideas emerge from within it. Maybe that’s a reason why so many of us are fascinated by outer space. There’s a harmony between the two, somehow. What goes on inside the mind can be as mysterious in nature as the Cosmos. But we do need interaction, especially in this kind of world where so much superfluous information can compete for our attention, and where so many alerts and devices can distract us to the point where the interaction with reality – and the inspiration we might glean from it – might not occur often enough. Think: On a typical day how much do you notice around you? Are you thinking about the universe? Our solar system? Our planet? A special occurrence like an equinox? A meteor shower? The few short weeks in Spring when cherry blossoms bloom? On days when we are particularly busy or highly stressed, we may not even be aware of anything beyond a 20-foot radius. And it can be difficult to escape that. And I think that’s the real gift of Stellardrone’s music. It connects us to the infinite nature of space and the boundless potential inside all of us, and reminds us that there will always be more to explore and ponder. Note: On his website (https://stellardrone.bandcamp.com/) Edgaras provides all of his music as free downloads, with an option to make a monetary contribution. If you enjoy what you hear, please consider making a contribution – great or small – so he can continue to create such thought-provoking music for listeners everywhere.